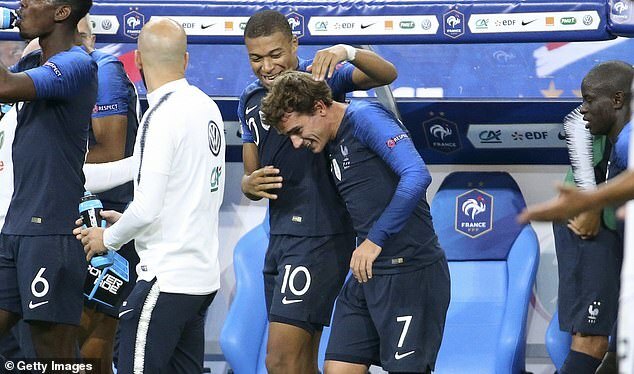 France coach Didier Deschamps has rubbished claims of a rivalry between his star strikers Kylian Mbappe and Antoine Griezmann. Both played a major part in France’s World Cup triumph over the summer, scoring four goals apiece in Russia, and are both contenders for this year’s Ballon d’Or as a result. 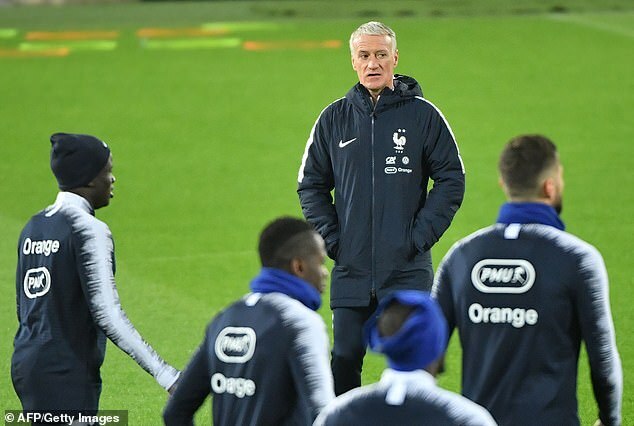 And given France’s wealth of attacking options, there have been rumours of discord between the pair as they fight for places in Deschamps’ team. But, speaking ahead of France’s matches against Holland and Uruguay this week, Deschamps quashed the claims. ‘No, there has never been any contradiction between them or one who wants to do more than the other one,’ said Deschamps. ‘They have been important, one after the other at a different time and also sometimes together. ‘They are determined as they score goals and make a lot of goals. There is no struggle between them. Atletico Madrid forward Griezmann, 27, has 26 goals in 65 appearances for France and has scored six goals for his club this season. Paris Saint-Germain frontman Mbappe, 19, has scored 10 goals in his 26 France outings and is in sensational form for his club, with 13 goals and seven assists so far. On Mbappe, Deschamps added: ‘He has to keep doing what he is doing so well. I am very happy he is French. He is playing for the team, that’s good for us. ‘I am not surprised, I just want him to stay like he is, even maybe with a bit more efficiency in front of the goal. 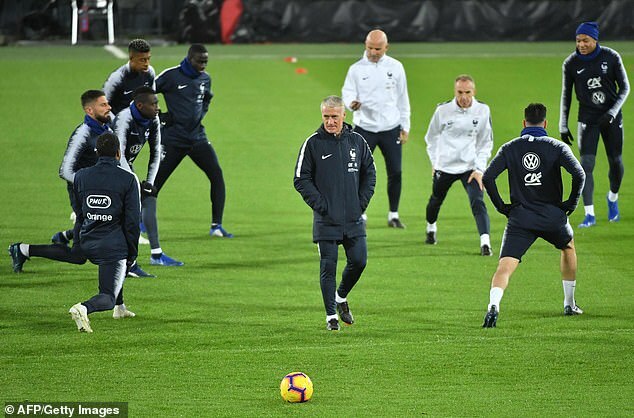 France require a draw in Rotterdam on Friday evening to secure their play in next summer’s UEFA Nations League finals.